Obtaining advice and assistance from a financial professional is instrumental so you can be properly protected and ensure the best investment decisions. 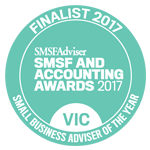 When you appoint professionals for your SMSF, choose a provider that’s experienced, provides a high standard of service, and offers competitive rates. SMSF professionals should be involved from the initial stages all the way through to the managing of the fund. SMSF trustees can either be individual trustees or directors of a corporate trustee. The individual trustee type of fund allows you to have up to four different trustees who are able to make investment choices and financial decisions. A corporate trustee is basically a company that acts as a trustee of the SMSF, with directors appointed to manage it. When thinking about trustees, you must identify where they’re eligible and what’s involved. It’s recommended that you speak through this with a professional, as there can be many complex terms and conditions to consider. One of the most important things to confirm when setting up a SMSF is that your fund is being established in Australia and is legally an Australian super fund. This will ensure you’re complying with the right super fund regulations and can receive tax concessions. Funds that don’t follow the Australian residency rules and regulations are at risk of being taxed at the highest possible tax rates. Your fund, although controlled by you, is still legally required to be regulated by the ATO (Australian Taxation Office). Gavin Ma & Co can help ensure a completely easy and seamless set up of your fund. With a dedicated SMSF setup team, we can help get your fund set up within hours. Contact us today to learn more about our services.